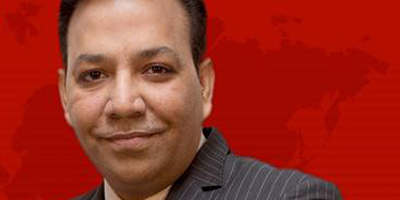 ISLAMABAD: Tariq Mateen, anchorperson with 92 News Television, is planning to lodge a complaint with the police following threats from members of some proscribed outfits. A source in the channel told JournalismPakistan.com the journalist was receiving serious threats on social media for doing a program on seminaries’ reforms. A massive social media campaign was run against the journalist and he was also threatened with dire consequences for not giving airtime to representatives of Ahlesunnat Wal Jamaat on his show, reports say. The guests on his program were Allama Amin Shaheedi, Jibran Nasir, Hafiz Hamdullah and Tariq Fazal Chaudhry, representing religious parties, civil society and the government. “The guests criticized Ahmad Ludhyanvi, Malik Ishaq and Maulana Abdul Aziz for creating rifts in different sects and inciting people to violence,” the source said. He said the criticism has apparently perturbed fundamentalists who have resorted to a threatening social media campaign against the journalist. A spokesperson for ASWJ has reportedly been pressuring the anchor to invite Ludhyanvi, Patron-in-Chief of the ASWJ, on his show; so that he could clarify some points raised by his guests, he said. The source said that Mateen requested the spokesperson to contact 92 News management for the airtime as he could not accommodate them for certain reasons. “The reaction and criticism has now started fading away but even then Mateen fears a possible backlash from certain groups,” the source said. He said the journalist has been gathering all evidence of threats from social media and other relevant platforms and would lodge a formal complaint with the police soon. Mateen is an accomplished journalist and has worked with Geo News and Dunya TV as a news anchor. Currently, he hosts a current affairs program on 92 News.